When your dishwasher is not washing and your dryer is not drying, you need Mr. Appliance of Saginaw! We have the industry knowledge and experience needed to fix any make and brand of major appliances. 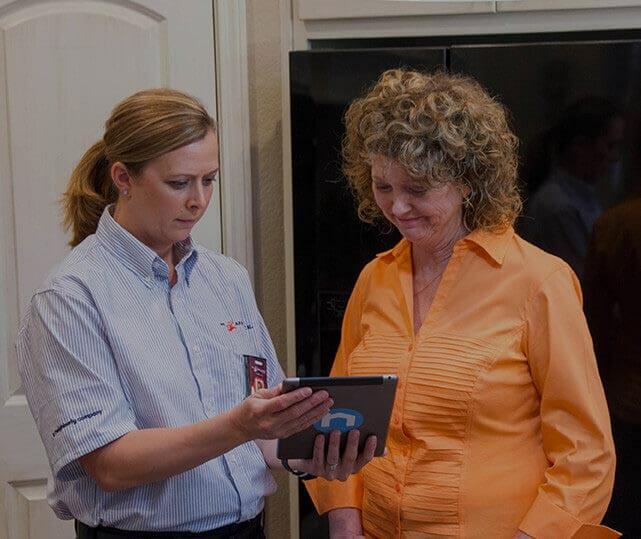 With our simple scheduling system based on your availability, you can count on our Fort Worth residential appliance repair technicians to be there right when you need us. Call (817) 497-8027 to schedule your Fort Worth appliance repair service now. For our Fort Worth appliance repair technicians, working on the appliances in your home feels the same as servicing major kitchen appliances in commercial settings. Whether you need us to take a look at your microwave oven or the walk-in freezer of your business, you can count on us to show up on time and in full uniform. Before we get to work, we like to take the time to fully explain the repair services that need to be completed to get the appliance up-and-running, as well as an upfront, honest estimate. After one of our Fort Worth appliance repair experts finishes your service, you can rest easy knowing we never leave a mess behind. Did a major appliance you or your business rely on each day break in the middle of the night? It is no stress on us to show up at any hour and get right to work! We offer 24/7 emergency Fort Worth appliance repair services to commercial and residential customers alike. It is all part of securing your 100% satisfaction. Unlike many competitors, Mr. Appliance of Saginaw charges by the job, not by the hour. You will know upfront what pricing to expect thanks to our clear estimates. There are never any overtime fees if a job takes longer than expected, too.